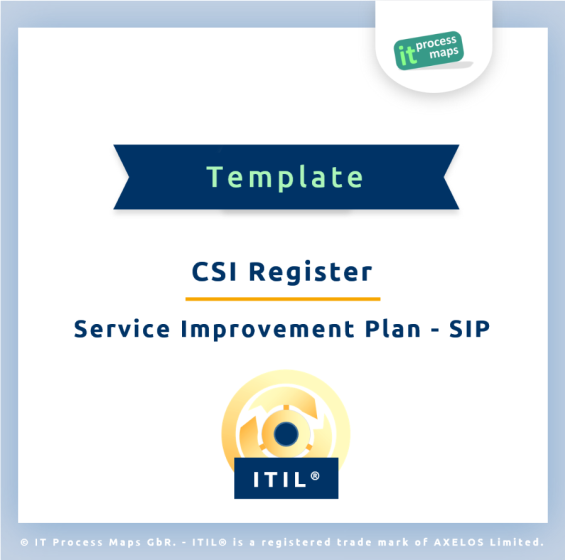 Note: The CSI Register (ITIL 2011) was referred to as the Service Improvement Plan - SIP (ITIL V3 2007). The CSI Register is used to record and manage improvement opportunities throughout their lifecycle. The addition of new entries to the CSI Register is typically triggered by Continual Service Improvement. This page was last edited on 29 March 2019, at 19:52.